Nigeria has emerged as the 110th Best Country for Business in the world, below South Africa, ranked 59, Morocco (62), Seychelles (66), Tunisia (82), Botswana (83), Rwanda (90), Kenya (93), Ghana (94), Egypt (95), Namibia (96), Senegal (100), Zambia (103) and Cape Verde (104). For the past 13 years, Forbes has rated the business friendliness of the world’s biggest economies annually. The United Kingdom ranked first for the second year in a row on the strength of its workforce, innovation and lack of red tape. 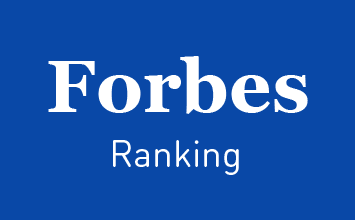 Forbes determined the Best Countries for Business by rating 161 nations on 15 different factors which include property rights, innovations, technology, infrastructure, corruption, market size, political risk, quality of life, workforce, taxes, freedom (personal, trade and monetary), red tape and investor protection. Each category was weighted equally. Only the countries with data across at least 11 categories was included. Forbes revealed that the U.K. was the only country to rank among the top 30 countries in each of the categories. Nigeria ranking include 135 in trade freedom, 141 for monetary freedom, 116 for innovation and 93 for technology, 123 for technology, 105 for red tape, 37 for investor protection, 91 for personal freedom and 132 for tax burden. Forbes said that though Nigeria has strong fundamentals, her economic potentials is been undermined by inadequate power supply, lack of infrastructure and other socioeconomic challenges. It stated: “Despite its strong fundamentals, oil-rich Nigeria has been troubled by inadequate power supply, lack of infrastructure, delays in the passage of legislative reforms, an inefficient property registration system, restrictive trade policies, an inconsistent regulatory environment, a slow and ineffective judicial system, unreliable dispute resolution mechanisms, insecurity, and pervasive corruption. “New investment in oil and gas have been limited by Regulatory constraints and security risks, and Nigeria’s oil production had been contracting every year since 2012 until a slight rebound in 2017.